TJ and Sacha Harder came to the Whiteshell two summers ago and stayed at Tallpine Lodges, a beautiful couples-only resort located by the beach in West Hawk Lake. The two loved their time out there, and joked about how cool it would be to run the resort. They also quickly fell in love with the beauty of the area as well as the peace and serenity. The couple talked to the then-owners, only to find out that the lodge was going to be listed that upcoming winter. One and half years later, just before the July long weekend of 2013, they found themselves as the new owners of Tallpine Lodges. Tallpine Lodges has been a couples-only resort for over 30 years that offers a peaceful getaway even when the town is incredibly busy during the peak seasons. It is a popular honeymoon, anniversary, or Valentine’s Day destination. It is also a great place for couples to go just to get away from their hectic lives. 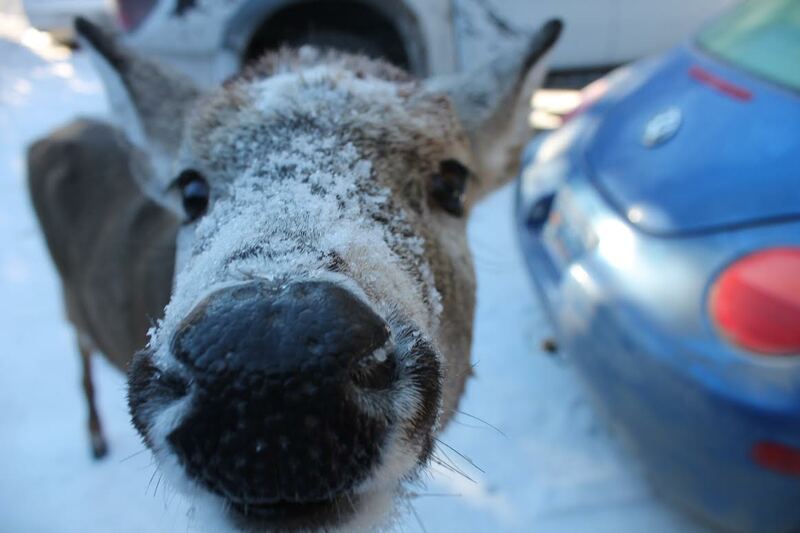 The neighbourhood deer are quite friendly. In the summer, Tallpines has a heated pool and is also just a two-minute walk from the beach. Tallpines offers bike, canoe, and jet ski rentals so guests can get out-and-about and enjoy nature. 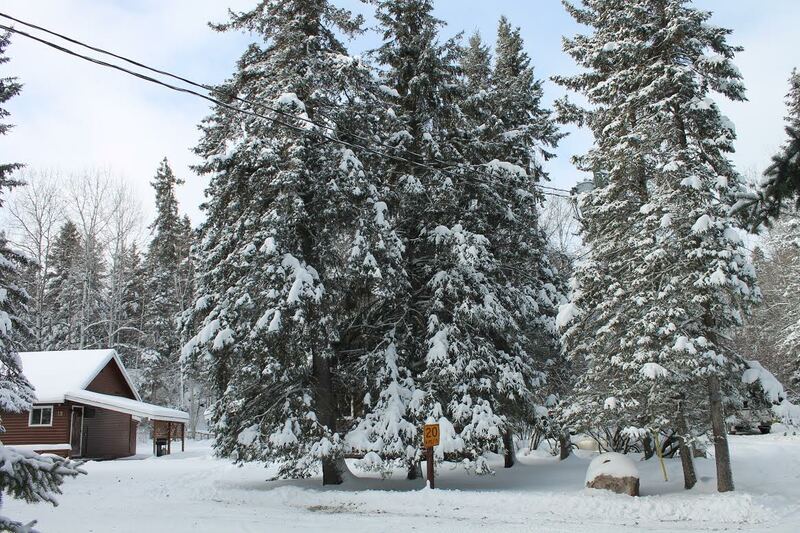 In the winter Tallpines has cross-country skis and snowshoes available for guests and is now offering snowmobile rentals so guests can head out and discover the beautiful groomed-snowmobile trails of the Whiteshell. The interior of one of the beautiful cabins at Tallpines Lodges. • The small studio cabin – Has a heart-shaped jacuzzi hot tub. Approximately 275 square feet. • Deluxe Cabins – The deluxe cabins offer an open-concept and include a larger jacuzzi tub and a sauna. Approximately 450 square feet. • The Luxury Cabin – This cabin includes a bedroom as well as a jacuzzi tub and a sauna. Approximately 500 square feet. • The Luxury Plus – This is the biggest cabin at Tallpines. 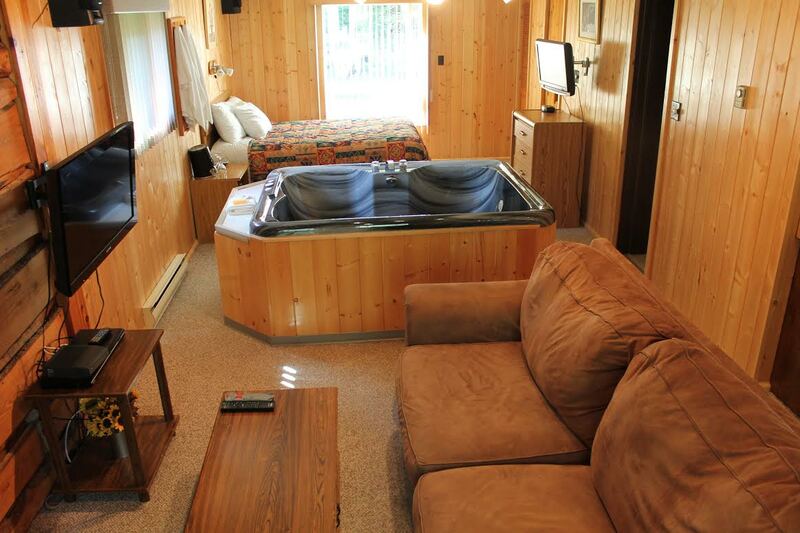 Includes king-sized bed (others cabins have queen-sized) as well as the jacuzzi and sauna. 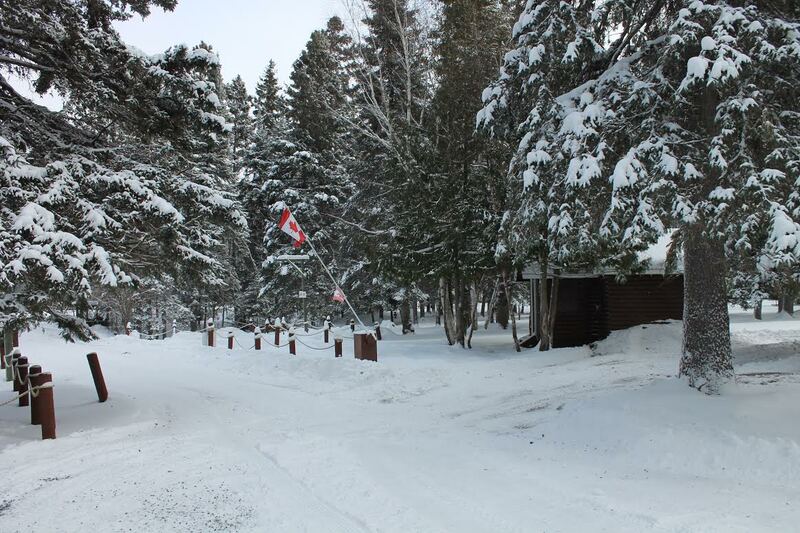 • All cabins have a fully furnished kitchen, barbecue, electric fireplace, and satellite TV. Book your Valentine’s Day getaway at Tallpine Lodges! For more information on the resort or for booking inquiries visit tallpinelodges.com or call 1(866)-349-2209. This entry was tagged couples-only, Expeirence the Whiteshell, Getaway, manitoba, Nature, Resort, Tallpine Lodges, West Hawk Lake, whiteshell provincial park. Bookmark the permalink.